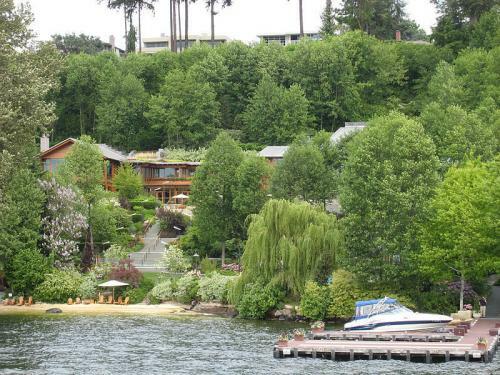 Bill Gates' house is built into the hillside overlooking the waters of Lake Washington in the city of Medina, WA. The property is located just outside of Seattle and is close to Redmond where Microsoft is located. 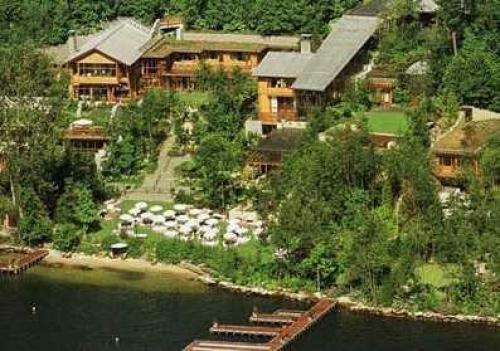 The 66,000 square foot mansion sits on 5-acres and took over seven years to build at a cost of $63.2 million dollars. The property was purchased in 1988 for $2,050,000 dollars, according to public records. Taxes on the property in 2009 were $1.063 million dollars with a total assessed value of $147.5 million dollars. Nicknamed Xanadu 2.0 (after the Citizen Kane estate), Mr. Gates' home is only partially visible from satellite imagery, as some of the compound is built directly into the side of the hill. Only about 20% of the home is family living space, where there are 8 bedrooms and 25 bathrooms. It features a 2,100 square foot library, which has showcased Leonardo da Vinci's 16th-century Codex Leicester that Mr. Gates purchased in 1994 for $30.8 million dollars. There is a 1,000 square foot dining room, and an 84 step staircase that guests descend from the drop-off area on the top of the hill down to the ground floor. 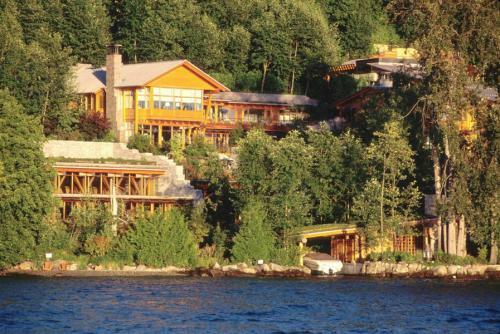 You can see the large windows of his 60 foot long indoor/outdoor swimming pool that features an underwater sound system all the way from the lake (guests can swim from the inside to the outside by swimming underneath a glass wall). The property also features a 2,500 square foot gym and a 23-car garage. Bill Gates' net worth is estimated to be around $76 billion dollars as of 2014, according to Forbes. This makes him the richest man in the world, having increased his net worth by $9 billion over the previous year, edging out Mexican tycoon Carlos Slim. Mr. Gates has held the Forbes top spot of the world’s richest man for 15 of the last 20 years. Ironically, Bill dropped out of Harvard University before getting a degree. Only a portion of Bill Gates’ wealth comes from his Microsoft shares, which he co-founded with Paul Allen in 1976. The 4% of Microsoft shares he owns account for less than one-fifth of his total net worth, according to Bloomberg. The rest of his wealth is from his investment companies, such as Cascade Investment, which holds stakes in several railways, Berkshire Hathaway and other companies. 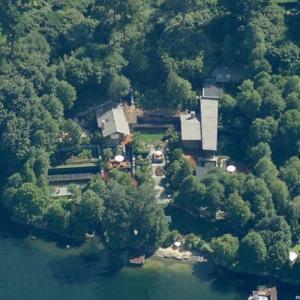 Bill Gates owns numerous other properties, including a ranch in Cody, WY, a house on Jupiter Island, FL, a house in Indian Wells, CA, and a house in Wellington, FL. Bill Gates transitioned out of his role as Microsoft’s CEO in 2006, and has since dedicated a significant amount of his time and money to philanthropy through the Bill & Melinda Gates Foundation. In 2012, Bill and Melinda gave over $1.9 billion dollars to charities. Forbes estimates Mr. and Mrs. Gates have donated at least $28 billion dollars over their lifetimes; making them the top philanthropists the world has ever seen. You'll find a great view of this via the Windows Live Local beta. Isn't it sort of humorous that this map has more views than the ENTIRE category it is in. Look at 'mgoblue's' stats. He has only submitted three maps but ranks in sixth place in number of total map views. What is impressive is of all the moguls, he is one of the few using alternative sources of energy. Now that is a sign of wealth!